Egham, Surrey, TW20 8RE, England. 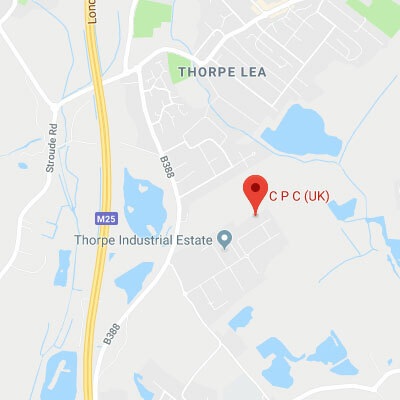 CPC (UK), Unit 3, Beta Way, Thorpe Industrial Estate, Egham, Surrey, TW20 8RE, England. Keep up to date. Find us on our social networks.